End of Life Software and The Inevitable ERP Upgrade - Headache or Opportunity? 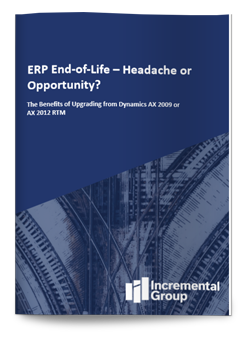 Whitepaper: ERP End of Life - Headache or Opportunity? This whitepaper addresses ERP upgrades in light of the recent announcement from Microsoft that mainstream support for Dynamics AX 2009 and Dynamics AX 2012 RTM is coming to an end.